Reno, Nevada. Jan. 10, 2017 – The Sierra Avalanche Center has issued a High Avalanche Warning for the Lake Tahoe area. Residents of the Crystal Bay and Incline Village areas are being asked to shelter in place during this snow event. Wind speeds and snowfall rates are increasing dramatically. Residents in the Crystal Bay area are advised to stay indoors until further notice. Avalanches large enough to break trees and move cars have occurred in Crystal Bay under similar storm circumstances. No houses have ever been seriously damaged from large avalanches in Crystal Bay, but there is always a possibility that this could be the first time. Stay away from uphill windows and doors. This advisory may last for the next 24 hours, or longer, depending on how long the storm lasts. Road crews will not be plowing streets in the avalanche-danger area until further notice. Residents will be notified as soon as possible when the Warning is lifted. Please see this map for the affected areas in Crystal Bay. In all areas of northern Nevada, there is a continuing risk of falling trees due to high winds and saturated ground. Trees could fall without warning. Gerlach State Route 446 between Sutcliffe and Nixon is inaccessible and is closed indefinitely; see photo on Twitter. State route 447 is open between Wadsworth, Nixon and Gerlach. For more information, please visit nvroads.com. Weather conditions are changing rapidly. For the most up to date information, please visit The National Weather Service’s website at http://www.wrh.noaa.gov/rev/. As people return to their homes and businesses and begin to clean up damages, Washoe County, City of Reno and City of Sparks emergency officials are asking people to report damage by calling 775-337-5800 between 8 a.m. - 5 p.m. This information is critical to helping officials clean up and plan for future flooding. The information you provide helps scientists with future planning and identifies areas where water-diversion plans could be implemented. It is advisable to document and photograph personal property repairs, damages and debris removal. State, county and city officials are assessing damages and could seek federal assistance, including the possibility of federal assistance to individual property owners. Public safety is of the utmost importance when cleaning up after flood damage. The Washoe County Health District has released important information on this process, including safety tips. Now is a good time for people to review their personal insurance plans and make sure their coverage is up-to-date. Residents in flood-prone areas are advised to make sure their insurance plans cover flooding. Residents of the River Belle Mobile Home Park in Verdi are asked to boil water for at least 10 minutes until further notice. Areas serviced by Truckee Meadows Water Authority (TMWA) are not affected by this warning. Water in the Autumn Hills area is safe to drink and the sewage system is fully functional. The Red Cross shelters are transitioning into a standby state, which means they could reopen if the weather dictates. They are also assessing damages in the region and offering cleaning supplies and food as residents return home. If you would like to donate or are in need of services, please call the Red Cross at 775-856-1000. If you need food, clothing or furniture, please contact the Salvation Army at 775-688-4555. For power outage information, please visit NVEnergy.com/outage. For more information from the City of Sparks, please visit cityofsparks.us/floodinfo. To make traveling in the community easier during the flood emergency and aftermath, RTC transit services are FREE through Tuesday, January 10th at 11:59 pm. Everyone is urged to sign up for transit alerts at www.rtcwashoe.com as routes may be impacted by flooding. The RTC urges everyone to be safe and cautious during severe weather. Officials will be updating media and the public continuously at www.washoecounty.us. 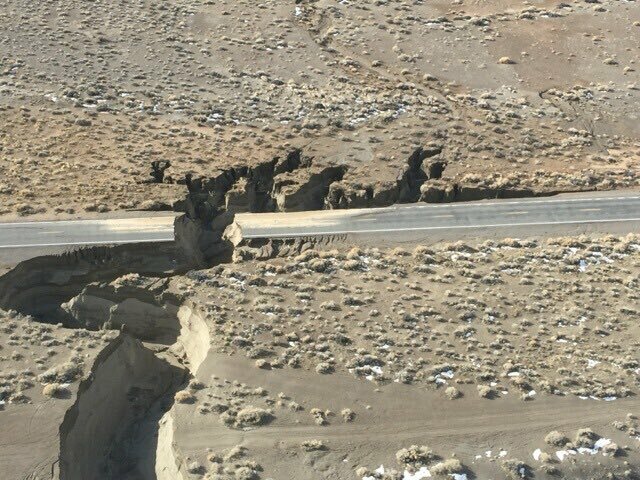 For information, please call 775-337-5800 from 8 a.m. - 5 p.m.
People are urged to join the conversation on social media using the hashtag #NVFlood17. The Joint Information Center line for media is 775-337-5860 and is staffed from 9 a.m. to 5 p.m. See previous flood releases.